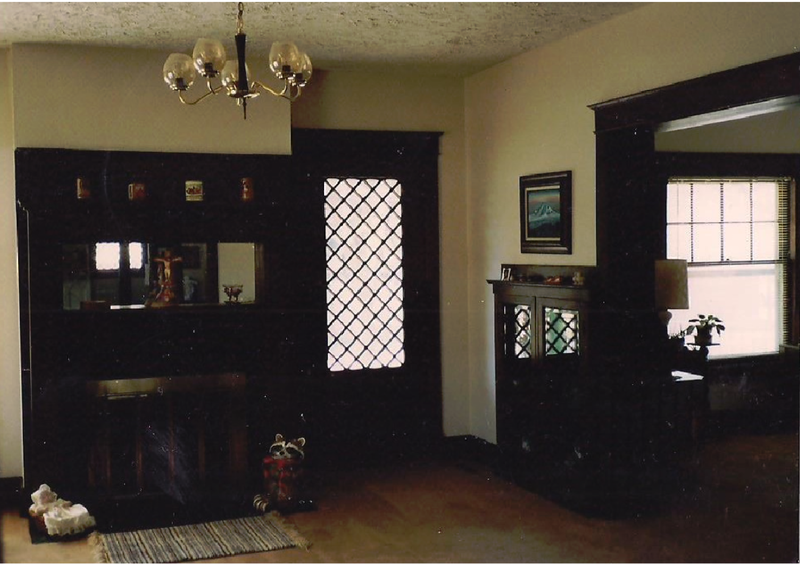 The inaugural journey to the newly acquire property in Anthony was one to articulate the many attributes and deficiencies that might have been inconspicuous overlooked because of the memorizing wonders of the spacious interior of the house. The only peremptory problem discovered was a lack of diligence in the winterizing of the vacant house. The basement water heater having succumbed to the freezing winter temperature, the tank having sustained applicable damage from not being properly drained, a replacement being required. The remainder of the residence having bolstered the vacuity of a Kansas winter in pertinacious condition. Gary listing a first initial task, the subduing of the yard, the property consuming an expansive corner double lot, the monolithic structure surrounded by sidewalks and easement grass bordering Springfield Ave and Walnut St. needing attention, the Jim Gates Agency having discontinued its sporadic yard maintenance provision. Gary installing the new water heater having the utilities turned on, the task of expunging the vacancy year-long residue next on the list, a good house cleaning needed before they could make the auspicious residential change. It was a monumental undertaking considering the temporal obligation of Gary and Jan’s employment. Even with Jan’s mother and Aunt Ester volunteering to assist, there was a compelling decision to engage some local assistance being made, Jan commissioning two local ladies versed in-house cleaning to fulfill its entitlement. Gary soon discovered prospecting the property was educational, the remnants of its history still viable, the wooden ship-lap garage at one time having electricity, still possessing the old knob and tube wiring mounted on the studs and joist, a likewise presence in the basement of the house. The garage’s electric source no longer cabled to the house, Gary noticing its originating source dictated by the ceramic knob fixtures visible under the third floor roof eves, Gary making note of another project, installing a line to the garage. On the west side of the weathered cement driveway two capped pipes visible, a closer examination discovered two abandoned underground fuel tanks another venture from the past. Just behind the garage on the ground was a large round slab of cement, a covering for what appears to be the remains of a turn of the century septic. The far northwest corner of the double lot provided another find, upon examining a 4 x 6 ft. slab of concrete, was a 16 x 8 inch opening in its center, shielded with a board. A drop light investigation, discovering a hand dug well, its circumference wall fashioned with laboriously laid bricks. Gary curious about its depth, ingenuity manifested dropping a 50 ft. garden hose down the opening to measure its depth, the hose descending to 40 feet before halting, the water level of the well measured by its present on the hose stopped at 27 feet. Surmising the concrete slab in all likelihood was a foundation of a by-gone era well house. In the front yard to the north, a garnishing outline of a once proud fish pond, its cement remains still visible, again, another fixture that graced the magnificent residence. 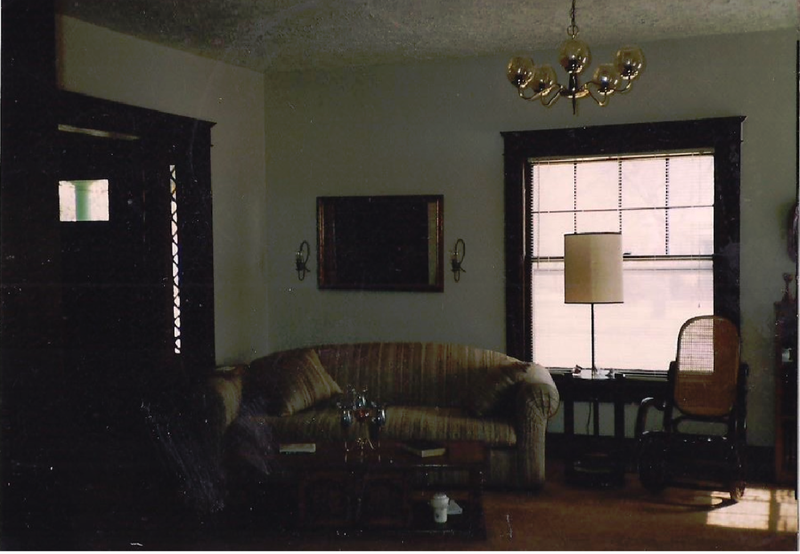 The crowning discovery was found not in the expansive landscape with its towering elms, but in the house, in the third floor ballroom, to the delighted Robert and Sandi, a regulation sized pool table with cue sticks and balls. Its ubiquity was ascertained during the initial walk-thru with the reality representative, but Gary was surprised that its presence would still be predicated. 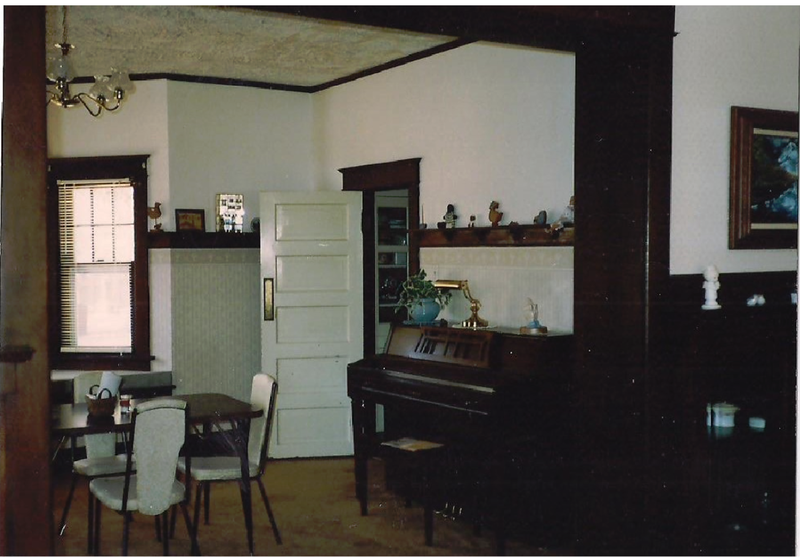 The furnishing of the Dickinson Street residence in Kiowa were in transit, the Yamaha console piano, kitchen appliances and larger furnishings finding transport in a borrowed horse trailer belonging to Mark Yazel, whose cattle brokerage business leased a portion of Gary’s father-in-law Bud Murrow’s farming land. The many boxes of smaller sundry items finding carriage in the bed of the Murrow family wheat truck. Jan’s family, mother and father, Shawn and Lynne, Ester and Charles Terry all present and helping with the weekend move. 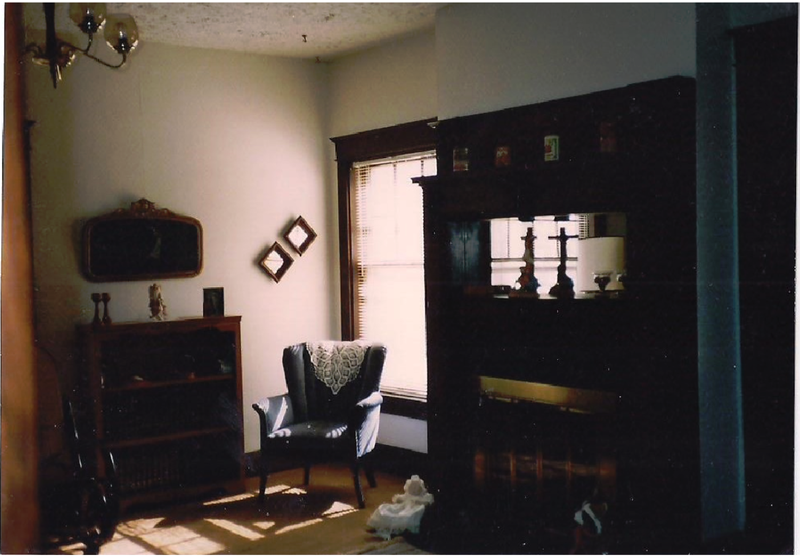 The bedroom assignments were never formally allocated, but the firm voice of the youngest member in the family, Sandi, whom on her first encounter with the south bedroom, with its chandelier light fixture and glass French door giving passage to the sun-room having immediately announced her claim of the room. 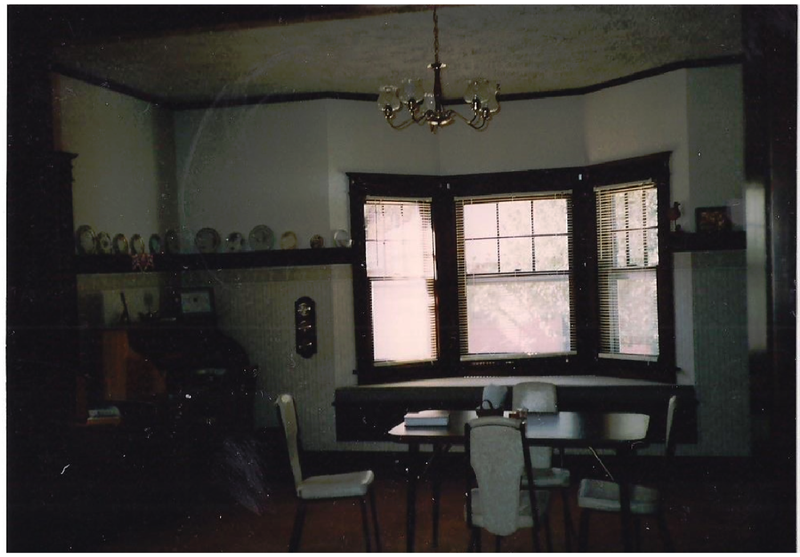 Robert settling for the other south room of similar size, but without addition of the sun-room and its enclosed windowed view. The 14 x 16 ft. northeast master bedroom fulfilling Jan and Gary’s nocturnal excitation. Gary’s early morning work day scheduled was accelerated by 45 minutes, allowing for the 30 mile country vista morning drive to Kiowa with the advent of the schools summer schedule, adjusting his 10 hour school day, starting at 7:00 a.m., concluding at 5:30 p.m., reducing his lunch to 30 minutes. The summer schedule provided a preview of the inevitable fall semester and the 12 hour work day, because of the travel distance his duties would require adherent punctuality and a regimental appearance even during inclement weather. A paradox beginning to muster, his proclivity beginning to wane the school employment, the adversity of the upcoming 12 hour day, aggrandized by the commute from Anthony. A pondering to seek local employment was beginning to emerge, Gary making an inquiry at the Harper County School District, finding they had already fulfilled their employment agenda. The Anthony John Deere Dealership another possible alternative, then a deliverance, the messenger being the same emissary whom had imparted the grade school employment opening. 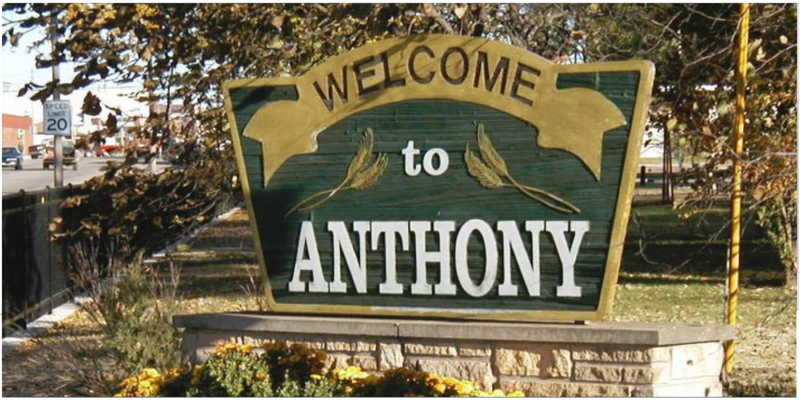 The Angel of dispatch was his wife, Jan relating a workplace announcement at the Anthony Hospital, an employment posting, the Anthony Hospital was seeking a full-time maintenance assistant. Gary’s ponderous thoughts no longer rampant, his decision solidified about seeking employment in Anthony. Then the difficult parts to endure, the first being to serve notice to the school administrator of his intentions, when informed Glen smiling, acknowledging that it was no surprise and was to be expected. Gary without hesitation submitting an application for the Anthony Hospital maintenance assistant position, discovering the second part to endure also difficult, the arresting wait for the hospitals decision. This entry was posted on May 12, 2016 at 7:02 pm and is filed under Uncategorized. You can follow any responses to this entry through the RSS 2.0 feed. You can leave a response, or trackback from your own site.